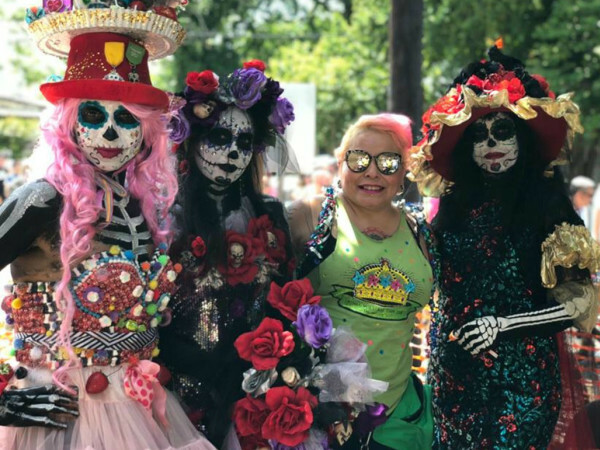 The first edition of the anticipated Hot Luck festival is in the books, and from what we saw over the weekend, the event was a resounding success. 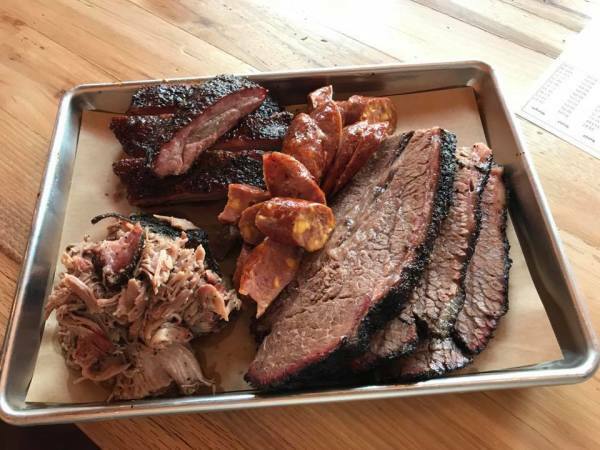 The meat-centric, three-day festival kicked off Thursday, May 18, with Hi, How Are You?, an event for Whole Enchilada pass holders held at Franklin Barbecue. 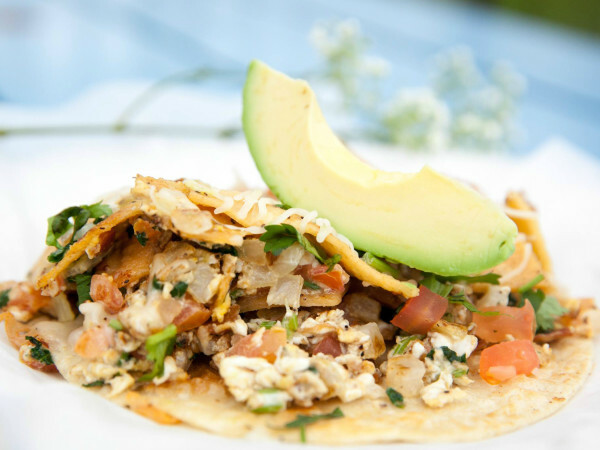 This fiesta featured bites from Aaron Franklin and five visiting chefs from Dallas, New York, Los Angeles, and Portland. As expected, the longest lines quickly formed for Franklin’s sliced brisket fold-overs and mini sausage wraps. We loved the Korean barbecue ribs with rice and spicy kimchi from LA food truck pioneer Roy Choi; the smoked koji-cured duck leg with plum wasabi sauce and nori from New York’s Ivan Orkin, and the New York strip tacos with caramelized onions and cilantro chimichurri from Daniel Vaughan of Full Custom Gospel BBQ in Dallas. Attendees washed it all down with Lone Star and Independence beers, perfectly matched wins from Oregon’s Montinore Estate and boozy cocktails from Buffalo Trace Bourbon. And yes, Daniel Johnston was there. The following evening, we attended The Hi Lo at Fair market, a lively event that was well-attended but never felt crowded. Organizers were careful to keep the number of booths on the low end so everyone could taste everything without feeling overwhelmed, and there were never long waits for food or drinks. 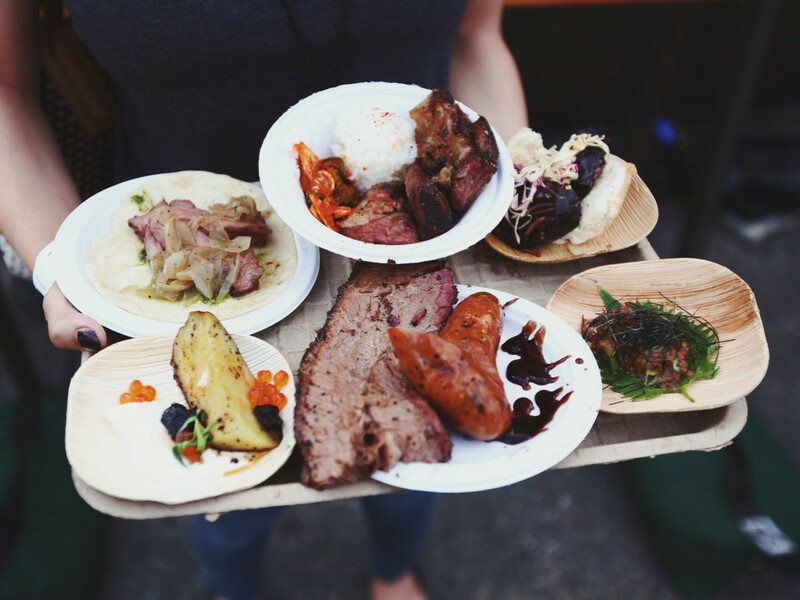 It’s hard to say what our favorite bites were — Hot Luck attracted an incredible pool of talented chefs who brought their A game to the fest. If we had to pick, we’d go with Adam Sappington from Portland’s The Country Cat, who served humongous tomahawk rib chops sliced over grilled bread slathered with smoked porcini bone marrow butter. We also loved Jason Dady’s Korean-style ribs, and David Bull’s short ribs with crispy garlic, mushroom butter, and parsley salad, and were thrilled that Tyson Cole brought the dish we fell in love with when he first opened Uchi: big eye tuna over juicy watermelon, drizzled with fish sauce and thinly sliced Thai chiles. The impressive cheese and charcuterie table from Oregon’s Tillamook and Olympia Provisions kept us busy for quite a while. For dessert, it was hard to beat Jeffrey’s upside-down strawberry cake with whipped cream, but Callie Speer managed with a preview of her soon-to-open Holy Roller: a dark chocolate brownie waffle with amaro-soaked cherries and cold brewed coffee ice cream. After a heavy storm on Saturday morning, the grounds at the picturesque Wild Onion Ranch were soaked, but that didn’t damper the spirit or blow out the fires for a beautiful evening at Al Fuego. Chefs wowed the crowds with a variety of dishes cooked on open fires, including Jason Stude’s nuoc cham marinated lamb served over a crispy bean thread noodle salad with fermented green papaya and peanuts; Kevin Fink’s crispy lechón with nopales, pinto beans, and daikon wrapped in an olotillo corn tortilla; and Steve McHugh’s stunning duck neck sausage with grilled peach and charred jalapeño salsa. We loved seeing the camaraderie between local chefs and visiting chefs, sharing their kitchens, staff, and talents and forming new friendships. The event was low-key enough that even they had a great time, able to sample each other’s cuisine and happily chatting with the public. We are all for that.